Kolbe’s handful of MILLENNIUM episodes were among the most memorable of that show’s shaky first season. “Force Majeure,” especially — with Brad Dourif and the great Morgan Woodward as a cult leader in an iron lung — pointed the way to the show’s more satisfyingly batshit second season. Sorry to hear he’s passed, and that it went (predictably) unreported. Interesting. Millenium is one of those 90s shows I missed, but am curious about. One day I’ll go back for it. 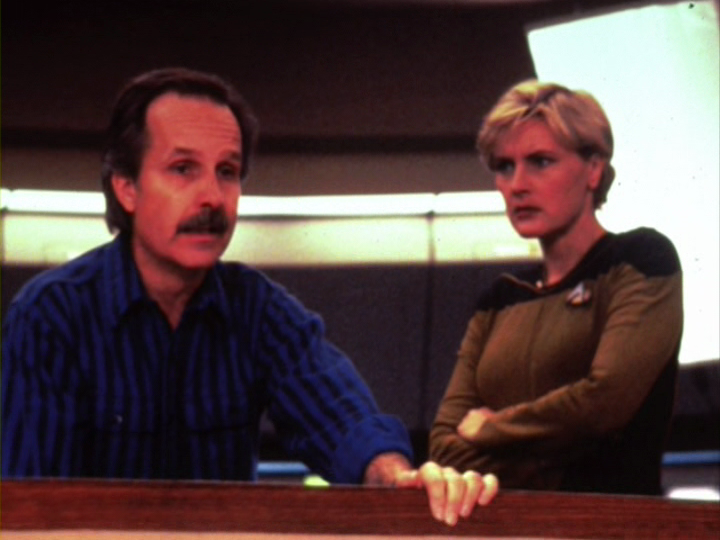 He made Star Trek: The Next Generation what it was as a show (one of many) and he will be missed. Thanks for the info, Steve. I have to admit I’m a little in shock that none of the Star Trek media sources, and there are a number, didn’t bring the news to fandom. Rest in peace, Mr Kolbe, you will not be forgotten. Great man…you will be missed! I still find it odd that he died in such obscurity. I expected some of the Trek sites, at least, to have the sources to fill in more details of his illness and death, but nothing else turned up that I could find.